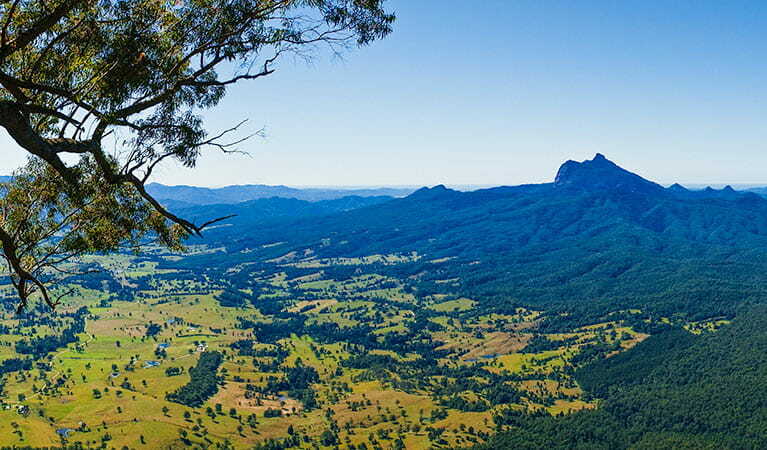 Wollumbin (Mount Warning) summit track is a sacred place to the Bundjalung People, and was declared an Aboriginal Place in 2015. Visitors are asked to respect the wishes of the Bundjalung Elders and avoid climbing this very difficult track. 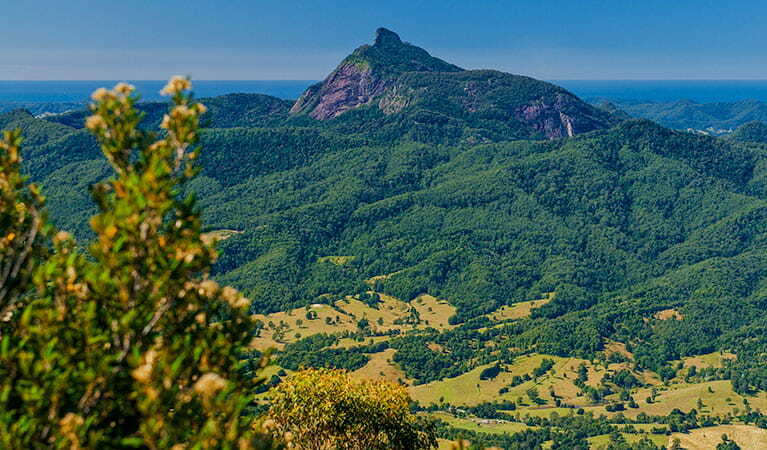 Wollumbin, which means ‘cloud catcher’ to some Aboriginal People, is a traditional place of cultural law, initiation and spiritual education for the people of the Bundjalung Nation. Under Bundjalung law, only certain people can climb the summit. Out of respect for their law and culture, consider not climbing the summit. 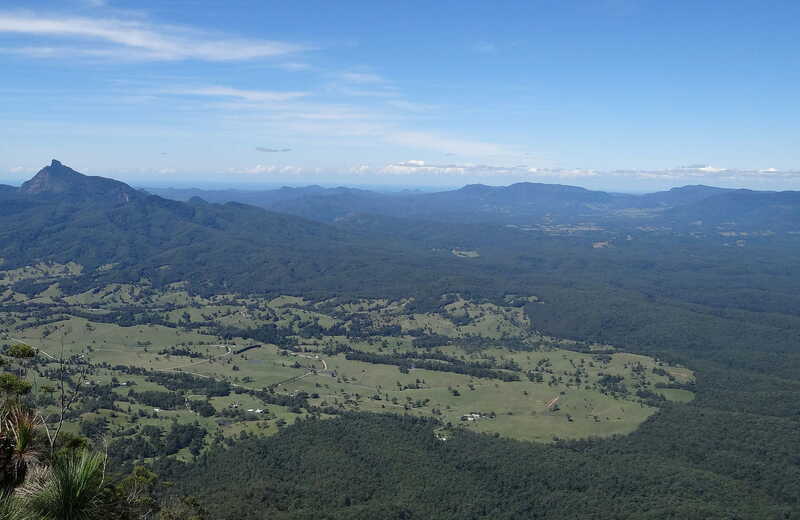 Explore ancient World Heritage-listed rainforest in Nightcap National Park, near Lismore in north-eastern NSW. Ideal for a day trip or overnight adventure, you’ll find great campgrounds, picnic areas, walks and stunning views.